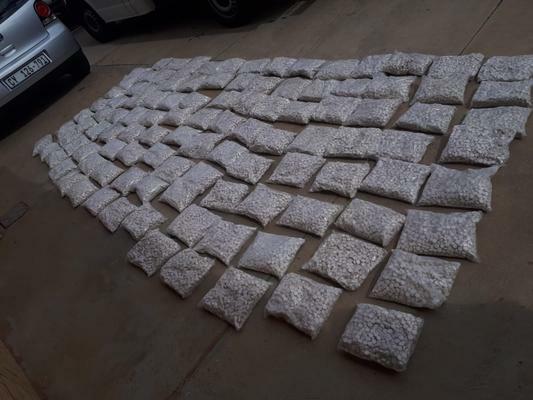 “Partnership policing stopped a man in his tracks and dealt a massive blow to the drug trade in the Western Cape,” Sergeant Noloyiso Rwexana said. On Thursday, provincial traffic officers stopped a vehicle during a routine stop-and-search operation and took it to Klawer police station when they discovered there was a problem with the vehicle’s documentation. A case of fraud was opened and a suspect was arrested. On Friday, police in from Klawer checked the details of the suspect and “saw that he was an active criminal in several serious offences”, Rwexana said. A 33-year-old man will appear in court on Monday on charges of fraud and dealing in drugs, Rwexana said.